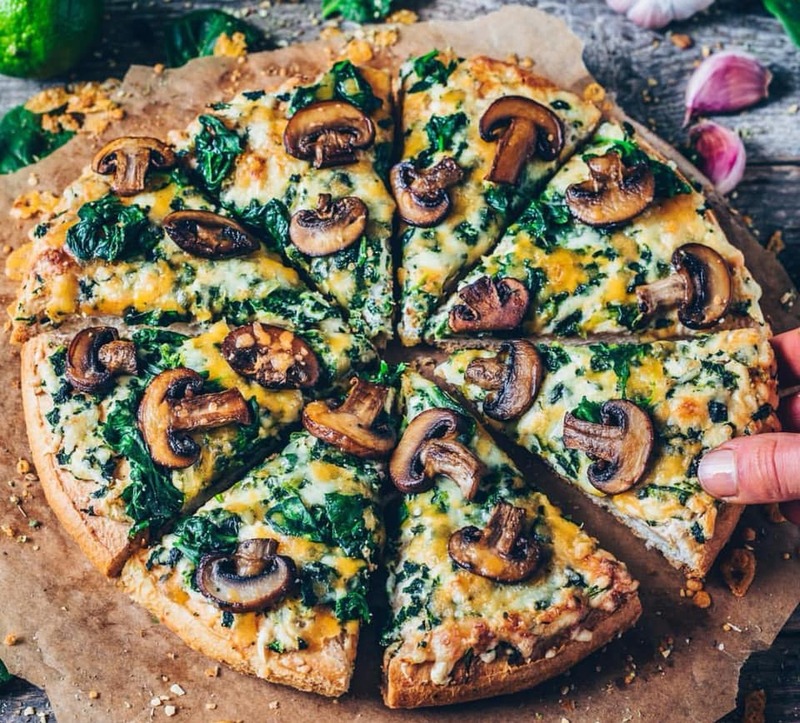 1 gluten-free pizza base, organic spinach, roasted garlic, pink salt, pepper, 2/3 cup dairy-free cream cheese, 3/4 cup dairy-free grated cheese, roasted mushrooms, coconut oil, pine nuts…all available from our online shop and in-store. Bake the pizza for about 3 minutes on each side in a pre-heated 400F oven then add all ingredients except mushrooms & pine nuts, roasting those in a pan with some garlic. A 10 minute cooking time is usually required to melt the cheese before adding mushrooms and pine nuts. Enjoy and Bianca you rock!